Suddenly, unexpectedly, homeschooling... and enjoying the ride! 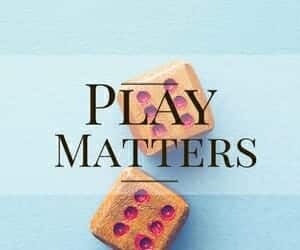 Join our FREE February 2019 Gameschool Challenge! Are you curious about gameschooling? Are you struggling with your gifted/2e kiddo? 100 Educational Stocking Stuffers Your Kids Will Love! This post may contain affiliate links. Please read my disclosure statement for more information. Sometimes you go on vacation and it’s all sunshine and rainbows. Other times you go on vacation and it’s gray skies and rain… and, in some cases, chuck-it buckets. You win some, you lose some. How do you make the best of vacations when weather- and tummies- are crummy? Our recent vacation was brought to you by Playful Pet Portraits, created by Flourish – Alisha Gratehouse Designs. *Disclosure: I received access to this course at no cost. I was not required to write a review, but I love to share fun resources. As always, all thoughts and opinions are my own. I’m not at all surprised, but my kiddos are *loving* this membership site. My oldest was sick as a dog on Valentine’s Day. Everyone was grouchy (self-included) and feeling a little crummy that our day didn’t go as planned. Thankfully, we had access to amazing art lessons and they saved the day. Our family loves to take courses from Flourish- Alisha Gratehouse Designs. When I heard that there was a Playful Pet Portraits course, I had a feeling my little animal lovers would enjoy it. The course did not disappoint! Playful Pet Portraits was created by Alisha Gratehouse. 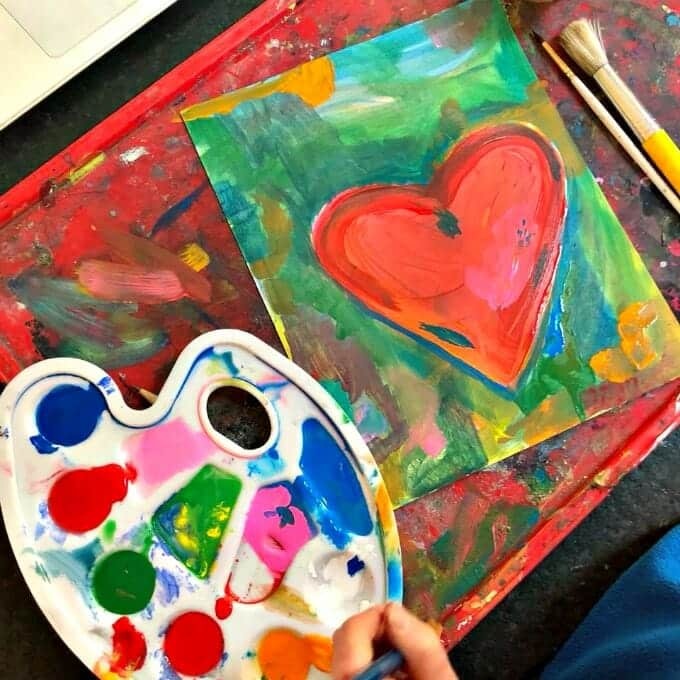 Alicia is an artist, art instructor, minister’s wife, and mom of three. 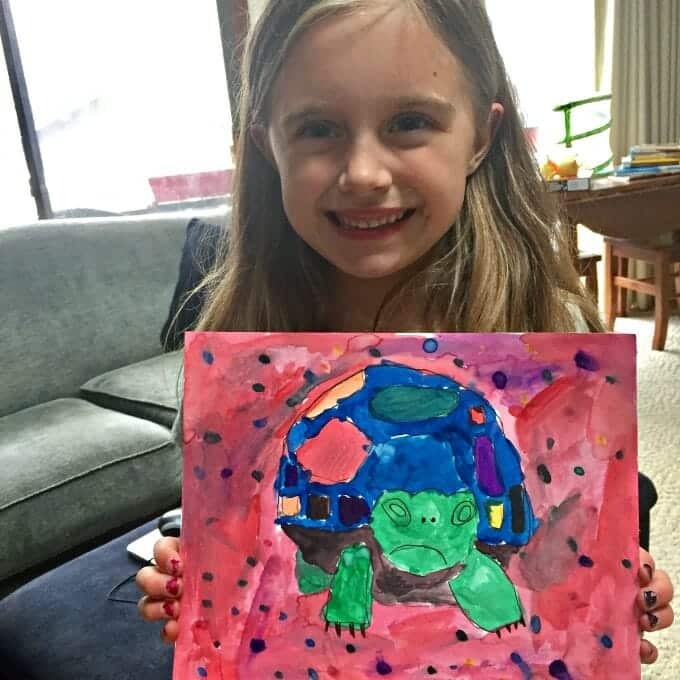 Her days are filled with creating, painting, writing, drinking lots of tea, laughing with (and at) her family, and spontaneously bursting forth into song. 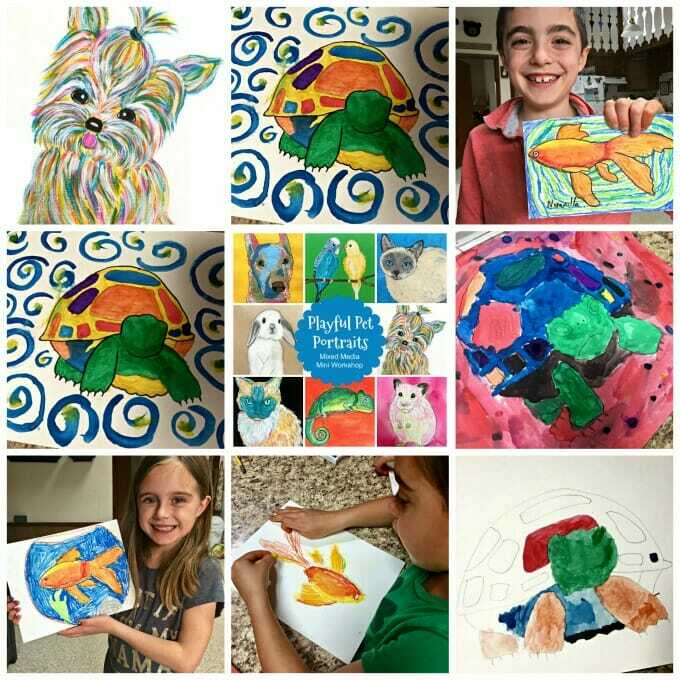 In her latest art course, Playful Pet Portraits, Alicia teaches children and teens simple techniques for painting pets while exploring various artistic styles. Playful Pet Portraits is a 2-week e-course. Classes are taught via video in a private, password-protected site. 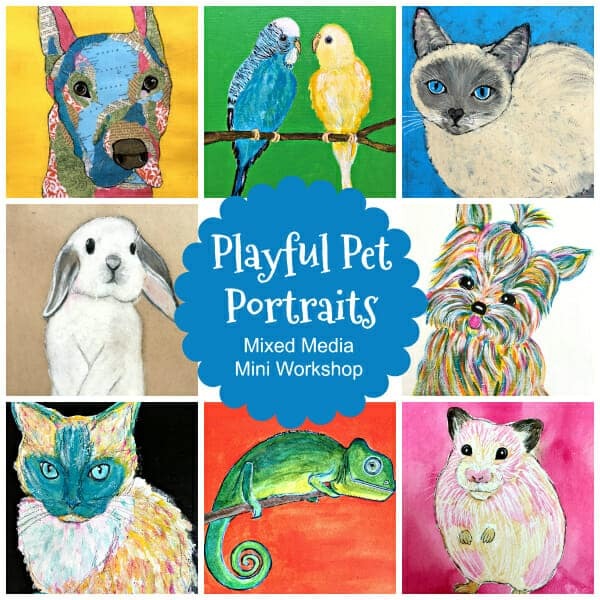 Playful Pet Portraits is a mini-workshop for kids ages 8 and up. My children are 9-, 7-, and 5-years-old and they adored the course, as did I! During the course, explore simple techniques for capturing pets in the artistic style and medium of choice. Whether you have dogs, cats, bunnies, rodents, birds, fish, or reptiles, or several of each, you will explore them all. There are 10 different art projects in all! 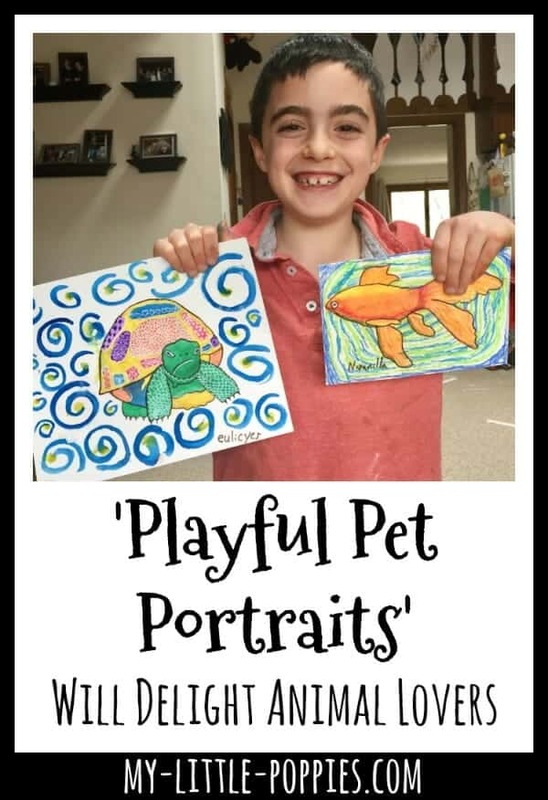 When you purchase Playful Pet Portraits, you will receive a welcome PDF with further information about the classes, a supply list, private links to the “classroom” and your personal password… in addition to lifetime access to the course. Now, it’s your turn. 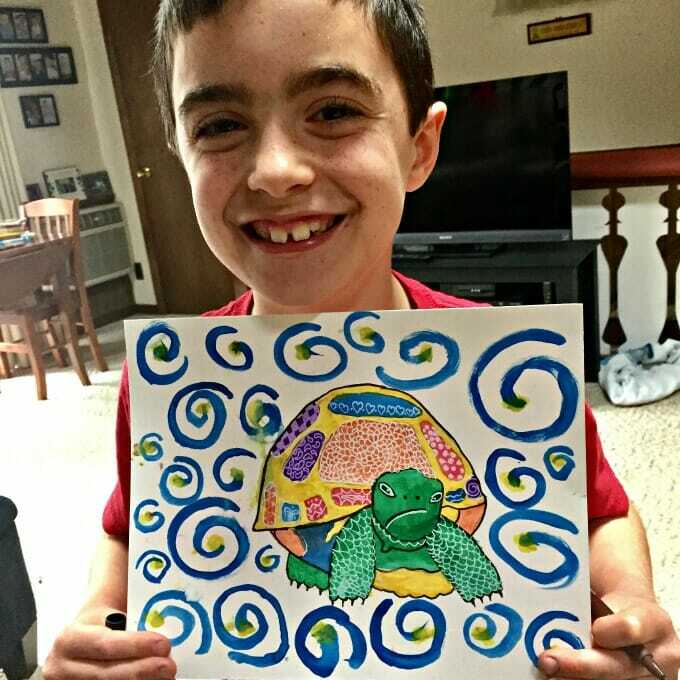 Tell me: What does art look like in your homeschool? Share here. 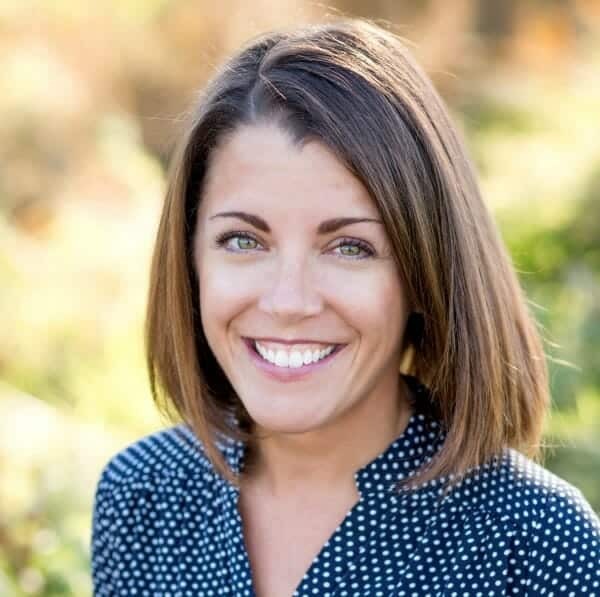 Cait is a school psychologist, mom to three amazing children, and an unexpected homeschooler. She loves nature, good books, board games, strong coffee, and dancing in her kitchen. Cait believes homeschooling *can* be almost all fun and games! 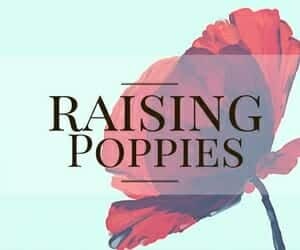 Cait co-hosts The Homeschool Sisters Podcast and is co-founder of Raising Poppies, a community for parents of gifted and twice-exceptional children. Cait is also founder of the Family Book Club at My Little Poppies, a fantastic community of book-loving parents and the Gameschool Community at My Little Poppies, a vibrant community of gameschoolers. Wow! So good! I love your kid pictures! My little girl just loooves this, thank you! Hi, all! I'm Cait. 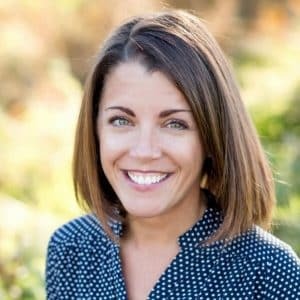 I'm a school psychologist, mom to three amazing children... and unexpected homeschooler. 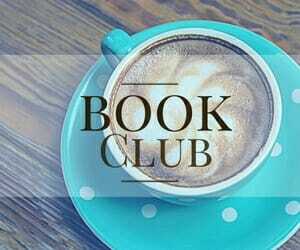 Our days are filled with delicious books, incredible games, and a patchwork of creative resources. 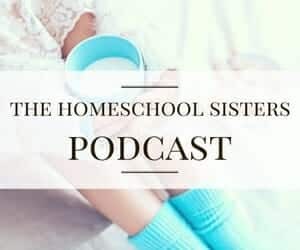 I truly believe homeschooling CAN be almost all fun and games!